Creatorica is cool creative landing page. You can use it as showcase of your application or your own or studio portfolio. It is based on Bootstrap 3 and uses LESS, so it can be easily customized. 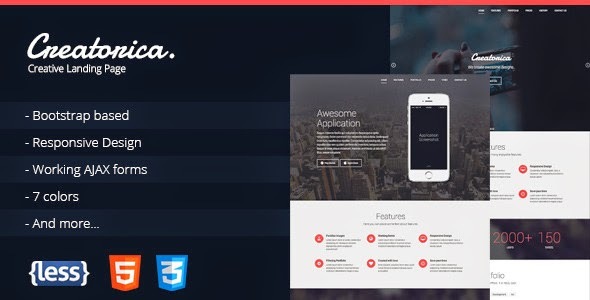 Item Reviewed: Creatorica - Responsive Bootstrap Landing Page 9 out of 10 based on 10 ratings. 9 user reviews.